Then you can't miss this. 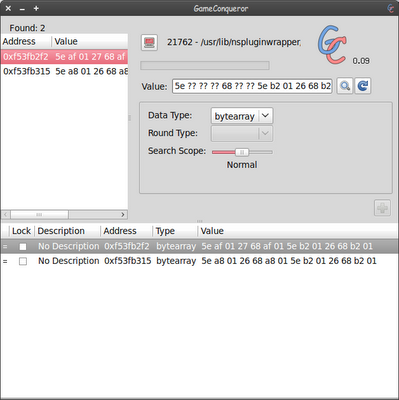 GameConqueror is a game hacking tool for linux, it's written in PyGTK and uses scanmem as its backend. It's supposed to be with most useful features of CheatEngine for Linux. This should be enough for most cases, so I decided to release it at the current status. NOTE THAT GAMECONQUEROR MAY CRASH YOUR PROGRAM DUE TO BUGS OR IMPROPERLY USAGE, DO BACKUP YOUR PROGRESS BEFOREHAND. About the annoying terminal window, now this is the only place where you can see the progress of scanning, and the error message if something goes wrong. This terrible thing is basically because I've mainly focused on the features of scanmem so far, and I'll fix this in the next version. any feedbacks will be appreciated.